Useful part of a detoxification protocol in initial stages of case management while dietary lifestyle is being improved. Liver phase 1 enzyme inhibition due to a diet excessive in calories and junk fat. Liver stasis due to inactivity or aging. As the largest gland in the body, the liver serves as a processing factory of unmatched importance. It plays a key role in eliminating toxins and metabolic waste products from the blood that would otherwise poison the body. The liver also creates cholesterol and bile required for digestion, plays an important role in carbohydrate, fat, and protein metabolism and breaks down old red blood cells. apo-HEPAT drops support detoxification of the liver, gallbladder and pancreas, which work together to promote good digestion. This remedy provides a vital stimulus that aids in the excretion of liver toxins, thereby enabling the tissues to regenerate and resume normal function. It also eliminates liver portal blockages that commonly exist in chronically ill patients. In addition, apo-HEPAT drops increase kidney and gallbladder secretion, stimulate circulation and improve the lymphatic system. This medication should be seriously considered as an adjuvant therapy when providing support for all chronic illnesses with PEKANA spagyrics as every disease adversely affects vital liver functions. Take together in water 2 times per day between meals. For very toxic conditions in patients with excess constitution, Â½ teaspoon taken 2 or 3 times per day. For more sensitive patients or those with toxic liver heat including viral load such as hepatitis, must use much smaller doses such as 2 to 10 drops per dose. Chioanthus virginica 2X resolves upper stomach ailments, vegetative dystonia (autonomic nervous system dysfunction) and dysfermentation of the liver and pancreas. In addition, this herb eliminates colic (painful spasms) and has a systemic effect that helps prevent migraines. It also addresses rheumatic processes and inflammation in the hepatic area. Iberis amara 6X benefits the heart muscle and coronary vessels, and improves peripheral circulation. It eliminates gastro-hepatic disruptions with symptoms that include intestinal pain and cramps. Lycopodium clavatum 4X helps eliminate metabolic waste products and stimulates the excretion of excess cholesterin. Without proper excretion of waste products, patients can develop symptoms that include a strong desire to consume excessive amounts of sweets. This craving, often accompanied by mood swings, irritability and depression, points to psychosomatic processes in which the body attempts to compensate by feeding the intestines sugar. Lycopodium clavatum eliminates both the physical and psychological basis for this craving. Mandragora e rad. sicc. 4X addresses digestive upset, disruption of proper stomach and liver function and pancreatic weakness accompanied by strong flatulence (in the case of spastic constipation). Phosphorus 10X helps benefit diseases of the stomach and intestinal tract, ranging from bleeding ulcers (Ulcera ventriculi, Ulcera duodeni) to acute liver dysfunction with accompanying spasms. Depression and other psychosomatic symptoms, as well as painful headaches, are also addressed. In addition, Phosphorus can effectively benefit infections found throughout the body, including the eyes, respiratory tract, heart and intestinal tract, as well as benefit degenerative changes in the bone structures. Boldo 1X acts as a powerful stimulant for the gallbladder. This medication promotes stomach secretion and excretion of urea. It also secondarily helps benefit dyspepsia and hepatogenic gastritis. Cynara scolymus 1X primarily benefits dyspepsia and hepatogenic gastritis. It is also effective for relieving blockage of the portal vein into the liver, and promotes excretion of toxins that accumulate in the organs and connective tissues from endogenic and exogenic sources. In addition, Cynara scolymus can help resolve acute and chronic infections, swelling of the liver, diabetes, hemorrhoids and digestive difficulties. Taraxacum 1X cleans the liver and renal system. This bitter-tasting plant also addresses afflictions of the gallbladder, and stimulates the gastrointestinal tract, pancreas and liver to overcome impairment caused by illnesses such as rheumatism or arthritis. ITIRES drops stimulate and detoxify the entire lymphatic system -- a vital part of the immune response -- to help speed excretion of toxins during acute and chronic illnesses. Efficient flow of lymph can prevent stagnation and blockages that increase the chance of new infections. The lymph nodes function like small heart muscles that pump and filter between 1.5 to 2.5 liters of lymphatic fluids, pathogens, toxins and cellular waste products per day, enabling an essential detoxification of the body. Acute and chronic illnesses, as well as internal toxins such as free radicals, can completely overburden the lymphatic system, which then urgently needs support of biological medications to meet this increased toxic load. Moreover, it is important to point out that the lymphatic vessels in the intestines (the largest excretion organ for waste products and toxins in the body) must also be stimulated to avoid a reintoxification via the intestinal walls. Any continuous blockage of the lymphatic system and intoxification of the organs can lead via various stages to exhaustion of the effected cells. 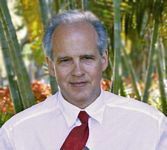 To reverse pathogenic processes, homeopathic-spagyric therapy attempts to activate exhausted immune defenses and aid the body in excreting the toxic load as quickly as possible. Pathogenic conditions that may benefit from ITIRES drops include lymphatic infections and blockages, swollen glands, acute and chronic infections of the organs and mucous membranes, all pus-producing infections (bronchitis and tonsillitis), mumps, adenoma, mastopathy, benign swelling of the breast glands and neoplasm. ITIRES drops also boost the immune system, and can be used as an adjunctive support for neoplasmtic conditions where lymphatic toxicity stasis is present. Please note: The tonsils, thymus and spleen are also important parts of the lymphatic system and need to be treated with specific remedies such as AILGENO drops, apo-STRUM drops and SEPTONSIL drops. Renelix and Apo-Hepat in the beginning of the management of a case involving substantial toxicity with a heavy encumbrance of the matrix. Any appropriate tissue or organ-specific remedies when a download of toxic material through the lymphatics will be induced, or when local lymph nodes are swollen. ÃƒÆ’Ã¢€Å¡Ãƒâ€šÃ‚Â½ teaspoon taken 2 or 3 times per day. 10 drops in very sensitive individuals. Apply topical ointment 2-3 times per day over lymph nodes. Used as a part of protocols for cleansing the matrix and resolving infection lasting 4 to 8 weeks. Baryta carbonica 8X is a classic treatment for swollen, hardened lymph nodes, often found on the sides of the neck in children. Adenoma frequently appear in the breasts of women, which all too quickly leads to a surgical response because the hardening of the lymph is considered to be malignant. This ingredient reliably eliminates both acute and chronic lymphatic conditions. Kali iodatum 4X is the ideal choice for support for chronic gland infections and swollen tonsils. It also resolves hardening of the cervical and mesenteric lymph nodes, and prevents development of new swollen lymph nodes. In addition, it regulates the connective tissues with iodine. Cistus canadensis 3X effectively benefits chronic lymphoma and infectious lymphatic conditions, including adenoma. It also helps resolve chronic infections of the skin and intestines. Conium maculatum 6X is a traditional lymphatic medication that stimulates and activates sluggish lymph nodes. It helps benefit hardening of the lymph glands, and is effective in providing support for depression, prostatitis, prostata hypertrophy and slowing of the metabolism that accompanies aging and chronic illnesses. Scrophularia nodosa 3X is useful for the support of inflamed, infected and swollen lymph nodes. This herb is also indicated for the support of eczema of the face, loose teeth, bleeding gums and development of goiter. Echinacea angustifolia 1X functions as a first-class immune stimulant that effectively supports infections and all septic conditions of the blood. It also stimulates the production of leukocytes, a key component of the body's defensive system in fighting infections. In addition, this well-known plant neutralizes the effects of toxins released from infected tissues. Galium aparine 1X is indicated for hardening of the lymph nodes. It helps regulate an exhausted metabolism and addresses pathogenic conditions of the bladder, skin and kidneys. This plant has traditionally been used to provide support for different forms of cancer, including melanoma. Juglans regia 1X is classic lymphatic medication that also helps cure liver dysfunction, wet eczema of the skin, herpes and impetigo accompanied by severe itching. It is also helpful in benefiting congestive headaches that correlate with intestinal dysfunction. Age-related decline in kidney function. Relieves lymphatic congestion during detox processes. Releases toxic burden on matrix when excretion functions of skin are compromised. Excretion of biologically incompatible frequencies caused by electromagnetic pollution. Itires for a more complete cleansing of the lymphatics. Typical dose is 25 to 50 drops of each in water 2 times per day. For initial cleanup of a patient who has been on a lousy diet and not exercising properly, may add Renelix to Itires and Apo-Hepat. This combination of 3 remedies is the Detox Kit. Typical dose of each is 25 to 50 drops combined in water 2 times per day. Opsonat will increase the aggressiveness of the detoxifying effects of Renelix. Typical dose is 5 to 25 drops of Opsonat with 25 to 50 drops of Renelix in water 2 times per day. The larger the dose of Opsonat that is used, the more aggressive will be the detoxifying effects. Radinex. If both remedies are indicated, we generally obtain better results by alternating their use rather than combining them. Take in water, at least 5 minutes before or after eating. drainage while detoxifying chronic foci: 25 to 50 drops 2 or 3 times per day. provide needed support. Usually, 10 drops twice daily for early decline. Later, if renal function declines further with advanced age, may need to increase to 25 to 50 drops twice daily. Use during the first 2 to 4 weeks of case management while beneficial dietary modification is being established. 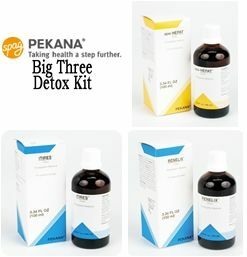 Use during the duration of any detoxification program if the mobilized toxins are placing a load on the kidneys. RENELIX drops support the excretion of concrement (protein concretions, calculi) and toxins deposited in the kidney cells, and helps restore normal kidney function. RENELIX drops also help counteract intoxification through aging or illnesses that weaken metabolic processes, which can result in hypertonia, diabetes or precancerous conditions such as arthritis and rheumatism. Finally, this remedy helps regulate toxic blockades in chronically ill patients, which allows systemic healing to take place. Causes of renal insufficiency include protracted use of pain killers that can devastate kidney tissues, alcohol abuse, foci and mercury intoxification from amalgam fillings. Homeopathic-spagyric herbs such as Apis, Berberis and Solidago contained in RENELIX drops have a specific affinity for the kidney cells and therefore help stimulate proper function and excretion of harmful toxins. In addition, genetic defects such as polycystic kidneys play an important role, and may ultimately lead to renal failure. Since other organs such as the liver and pancreas must compensate for renal insufficiency -- leading to a chain reaction that can produce coronary weakness and hypertension -- aggressive intervention with RENELIX drops and complementary medications is imperative. Benzoicum acidum 4X resolves uric acid diathesis -- often accompanied by a strong rheumatic burden -- to eliminate conditions that weaken the heart. Nitricum acidum 4X provides support for infections of the mucous membranes and urinary tract. It also regulates the functions of the urological pathways and eliminates symptoms that include frequent urination and foul-smelling urine accompanied by a burning sensation. Apis mellifica 4X provides support for edema and infectious conditions of the joints. It also stimulates and detoxifies the tonsillar ring, connective tissues, intestines, serous membranes, bladder and kidneys to facilitate a systemic healing. Berberis vulgaris 3X addresses pathogenic conditions of the liver and urological pathways. It supports the excretion of uric acid from the system and reduces liver and pancreas intoxification -- the basis of illnesses such as gout and diabetes. Colchicum autumnale 4X is primarily indicated for the benefit of gout. This herb also fights endocarditis and pericarditis, regulates the gastrointestinal system to stop nausea, vomiting and overacidity and helps heal acute and subacute rheumatic conditions. In addition, eliminating these conditions helps detoxify the body and enables the kidneys to excrete poisons that have accumulated over the years. Thlaspi bursa-pastoris 1X helps benefit metabolic insufficiency reflected by the build-up of stones in the kidneys and gallbladder. The strong stimulative effect provided by this herb can even make catheter use unnecessary. Coccus cacti 1X disinfects and stimulates the kidneys while providing anti-spastic properties. It also helps provide benefit for chronic latent infections that reduce kidney efficiency. Solidago virgaurea 1X is a classic kidney remedy that effectively supports chronic nephritis and arthritis. It is indicated for the support of painful urination and urine thick with stones, gravel, protein or blood. The stimulative effect on the kidneys is so great that using a catheter often becomes unnecessary. * if giving a ¼ tsp 2 times per day, one bottle will last 20 days. * Some remedies, specifically Apo-Hepat, have a resinous ingredient that can be an adhesive as it dries. Sometimes, the inner cap will stick to the inside of the outer cap. If this happens, screwing off the cap will automatically remove the drip spout, and if you don notice this, you may pour the entire contents of the bottle into your glass of water without intending to do so.